Nike has released their newest line of football cleats that include the Nike Alpha Menace Elite 2, Nike Force Savage Elite 2, and the Nike Vapor Untouchable 3. The Nike Alpha Menace Elite 2 cleats are built for those multidirectional athletes such as Saquon Barkley and Russell Wilson. The cleat features a midfoot strap with TPU yarns in the forefoot to protect the feet from getting stepped on. The Nike Force Savage Elite 2, has been designed for players in the trenches like Khalil Mack. 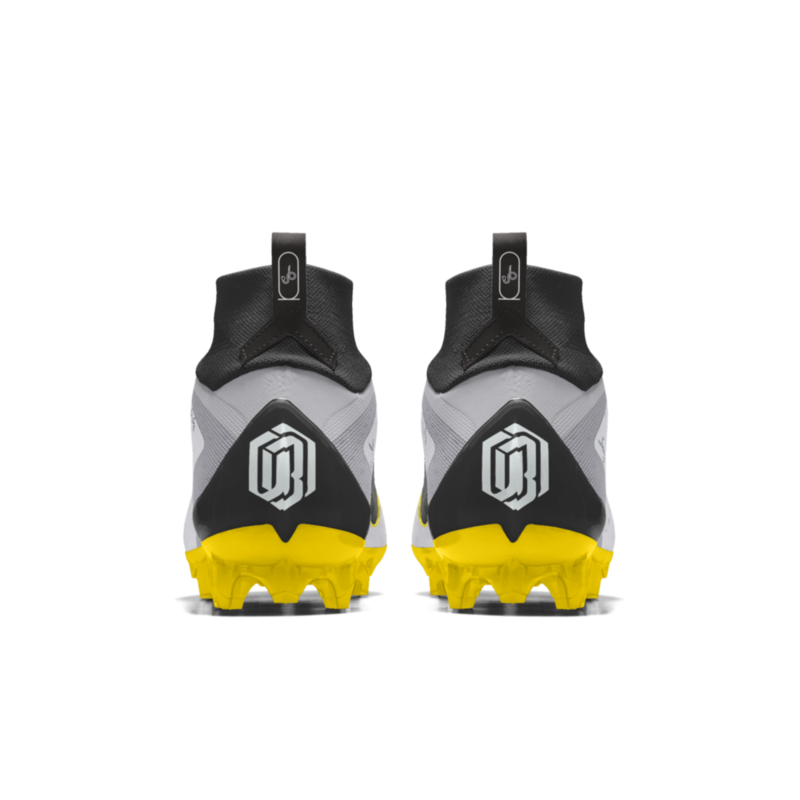 The cleat comes with a redesigned cleat plate for optimal comfort and traction. Nike switched it up and instead of laces, they used three straps to work with a burrito tongue and allow for quick tightening adjustments in-between plays. The cleats look to add flair and style to each player while bringing the most innovative technology to the football field. adidas has collaborated with Marvel to bring the limited-edition ‘Heroes Among Us’ collection. 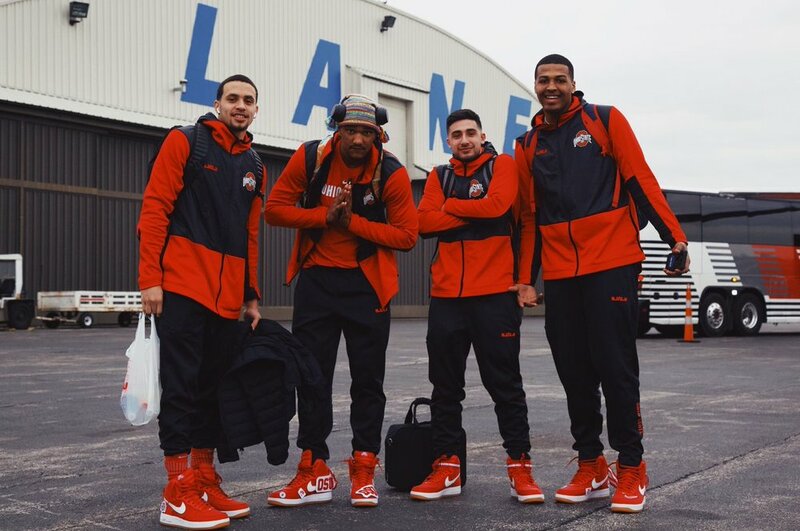 The collection will feature the brand’s star athletes James Harden, Damian Lillard, Candace Parker, John Wall and Tracy McGrady. 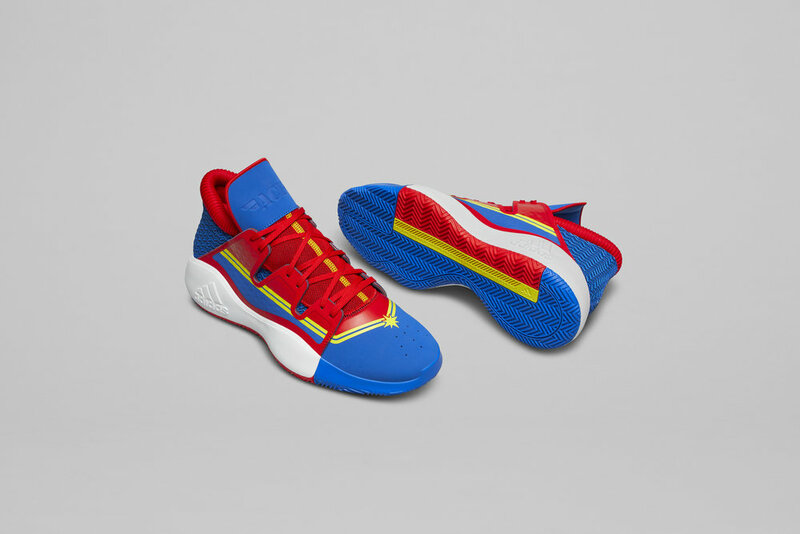 The limted-edition adidas x Marvel ‘Heroes Among Us’ footwear collection will feature; Marvel’s Iron Man | Harden Vol 3, Marvel’s Black Panther | Dame 5, Marvel’s Captain America | N3XT L3V3L, Marvel’s Nick Fury | TMAC 1, and Marvel’s Captain Marvel | Pro Vision. Shoes will be available April 26th. LeBron and Nike released the latest sneaker in the LeBron Watch collection for this season. 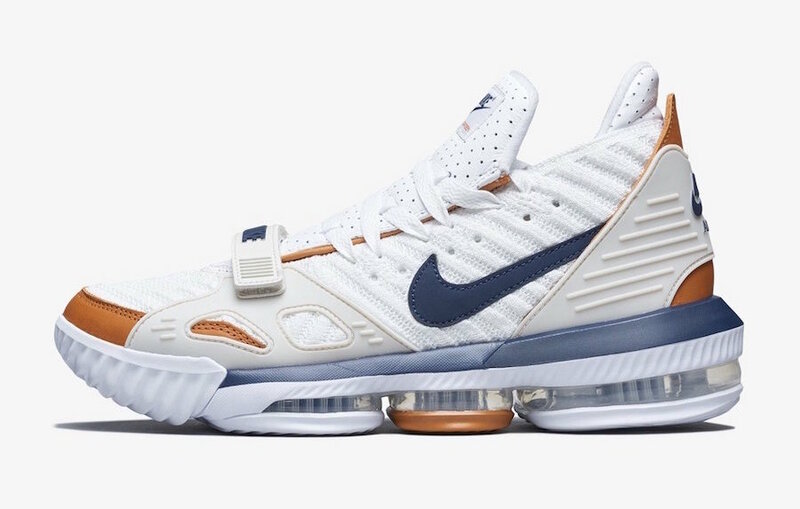 The LeBron 16 “Air Trainers” were designed with inspiration from the “Medicine Ball” colorway of the Nike Air Trainer III, the shoe that was built to enable multiple forms of training. The kicks feature a White, Midnight Navy, and Ginger color scheme with a midfoot strap that is a nod to the original Air Trainer 3 along with its plastic overlays on the forefoot and heel. OBJ has introduced the Nike Vapor Untouchable Pro 3 OBJ cleats. 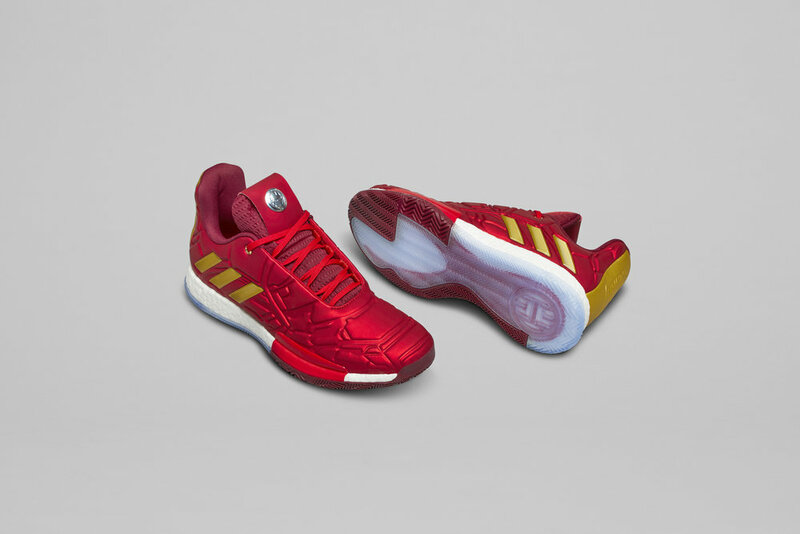 The special cleats allow players to customize the style and color to match their swag and team. The cleats feature an Egyptian-inspired design picked out by OBJ. The Egyptian design features “Royalty” spelled out in the OBJ hieroglyphic language. Each pair can be customized with different colors and finishes such as chrome or matte. Check out some of the pairs below. Phillies newest super star, Bryce Harper, took the field for his first game as a member of the Philadelphia Phillies. For such an occasion Harper wanted to show the fans of Philadelphia that he was all in, and hit the field in custom Phillie Phanatic inspired cleats. The green cleats showed off the Phanatic’s fur and eyes on each side. "Thought it'd be cool. Why not? Just bring some fun to the game. The Phanatic is always happy and smiling." - Bryce Harper on the custom cleats. WINTER IS HERE! adidas has teamed up with Game of Thrones to bring us six different Ultraboosts. adidas has reimagined the iconic houses and characters of Westeros and put them into sneaker form. The collection features six limited-edition Ultraboost, that have carefully been designed to represent the characteristics, colors and details of the heroes and villains from the show. The shoe’s features include their faction’s sigil on the tongue and motto on the heel tag. 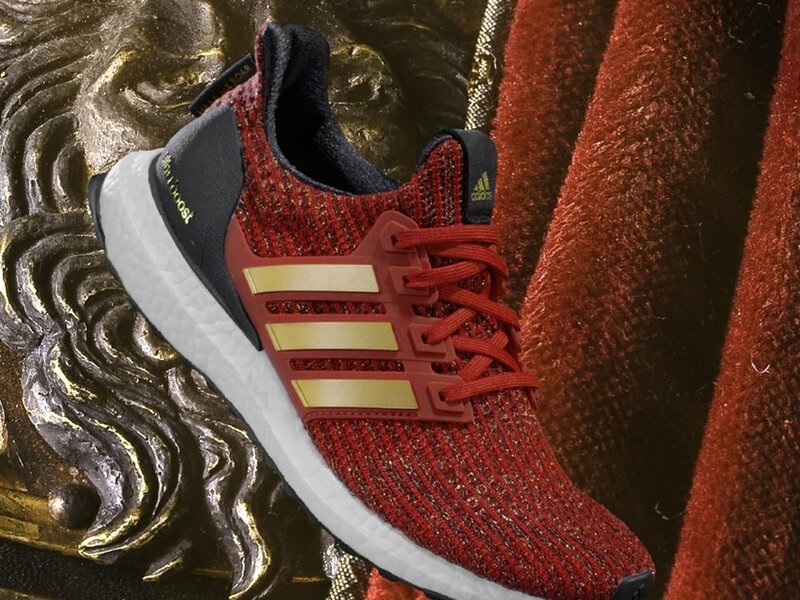 The limited-edition adidas x Game of Thrones Ultraboost will be available at adidas.com on March 22nd, 2019 for $180. 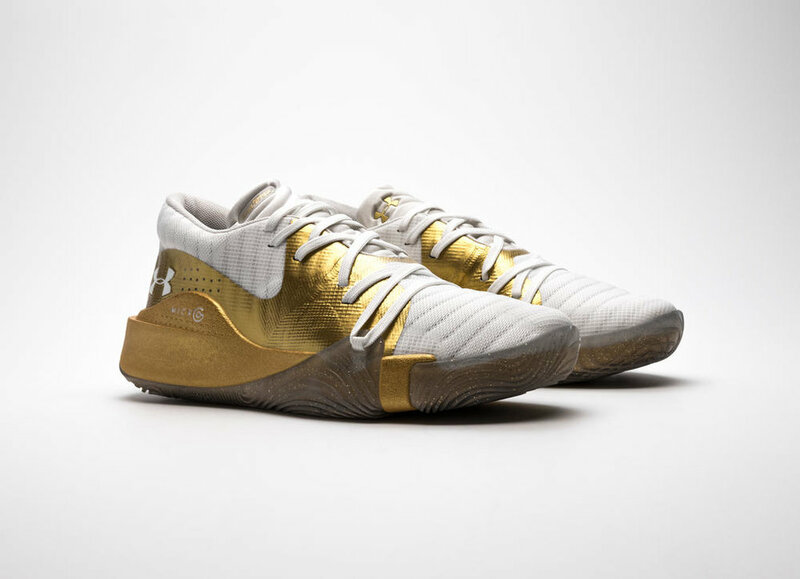 As the madness gets under Under Armour schools will be hitting the hardwood in style. 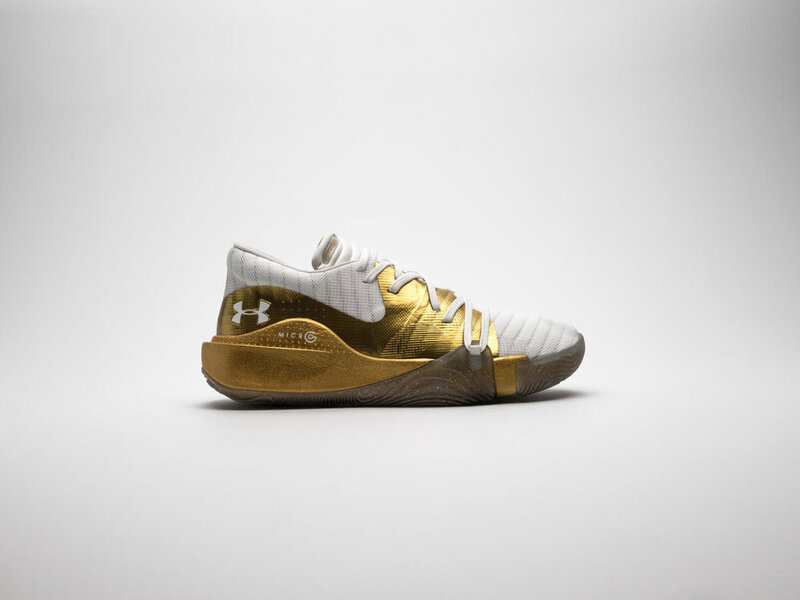 The record 29 total teams for UA - 12 women's and 17 men's - received ‘Unleash Chaos’ edition Curry 3Zero II Mid and UA Anatomix Spawn shoes. 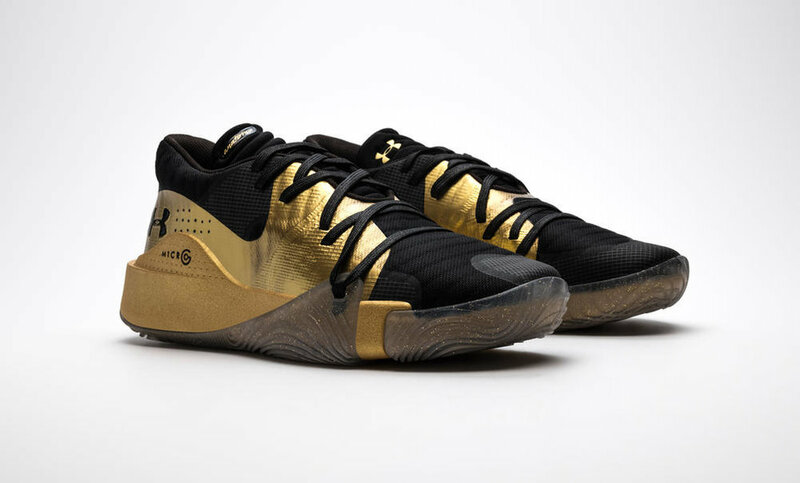 The special edition kicks come in white and gold or black and gold colorways as a nod to the all day, all night pursuit of championship gold and legendary status. 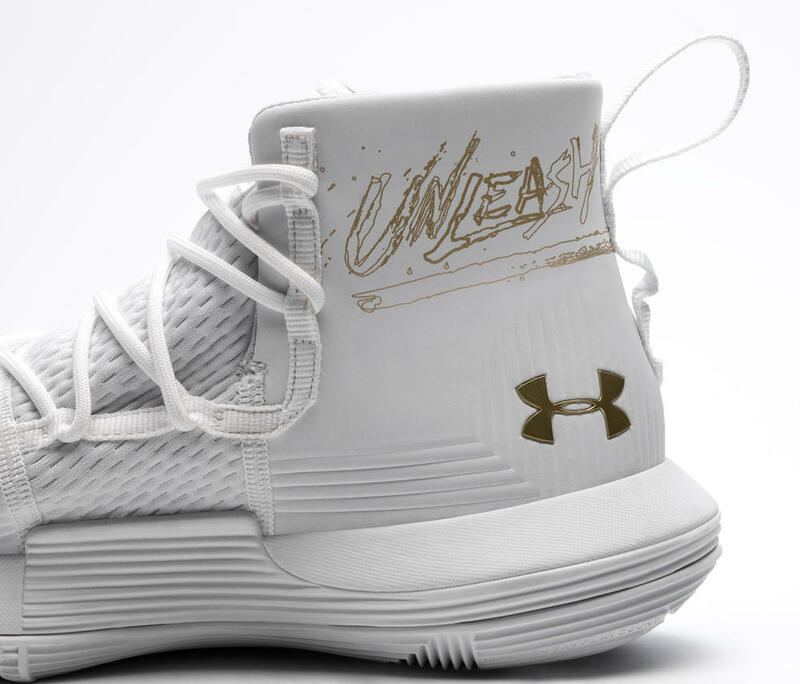 On the uppers of the ‘Unleash Chaos’ edition Curry 3Zero II Mid we see the Unleash Chaos wordmark printed in gold. GET YOUR OWN #adizero SNOWCONE CLEATS TODAY. adidas Football introduces their special edition “Snow Cone” pack, that features the 2019 adizero 8.0 football cleats. We have seen these cleats making their rounds at the adidas 7v7 tournaments this year already. The “Snow Cone” pack was inspired by childhood memories and the vivid colors that make up the vast variety of flavors from snow cone stands and trucks across the nation. The special edition pack will have five flavors to choose from; Grape Twist (purple/orange), Blue Raspberry (red/white/blue), Pink Lemonade (pink/yellow), Watermelon Mango (green/pink) and Mystery flavor (rainbow). The special cleats are available for purchase at a $120 price point.